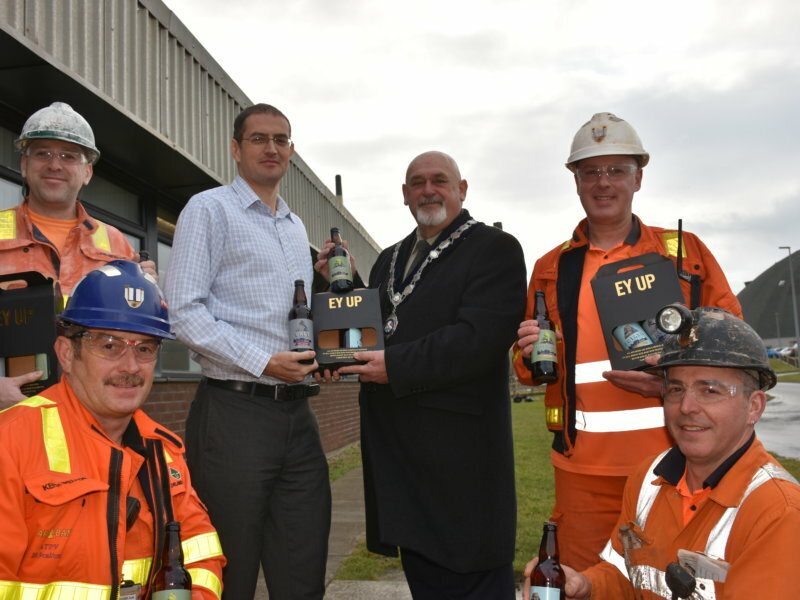 Workers at ICL Boulby will be able to celebrate Christmas and New Year in a very special way—with the mine’s own beer! Amongst the seasonal gifts being distributed by the company will be over 500 packs of specially labelled ‘Beers of Boulby’ including bottles of lager, ruby bitter and pale ale all produced from the prize-winning Great Yorkshire Brewery at Cropton near Pickering. Says ICL Boulby’s General Manager Andrew Fulton “After one of the most significant years in Boulby’s history, with us becoming the world’s only producer of the mineral polyhalite, we wanted to show our appreciation of the tremendous contribution of everyone involved with the company in meeting the challenge of switching from potash to the new product. 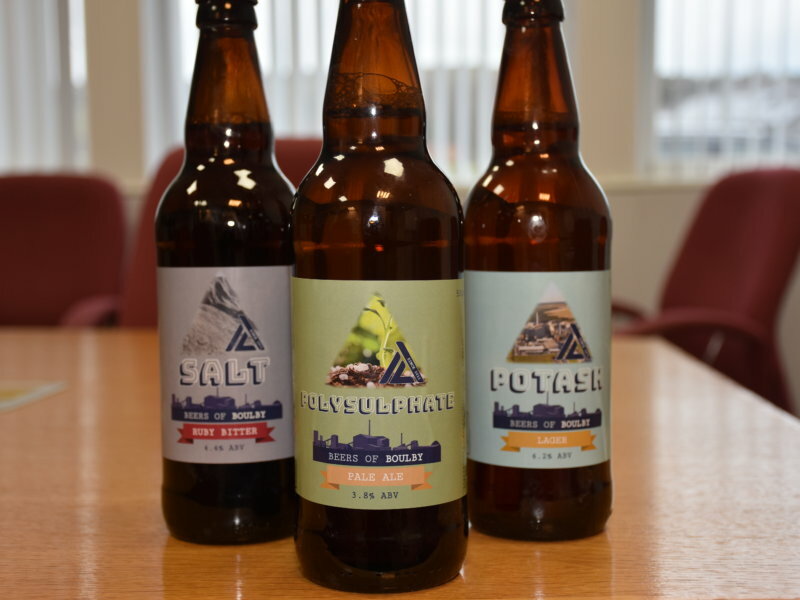 “Our sales and marketing devised the ‘Beers of Boulby’ as part of promotion programme for polyhalite—which is branded as Polysulphate—so what better way than to give our staff the chance to toast their own success. 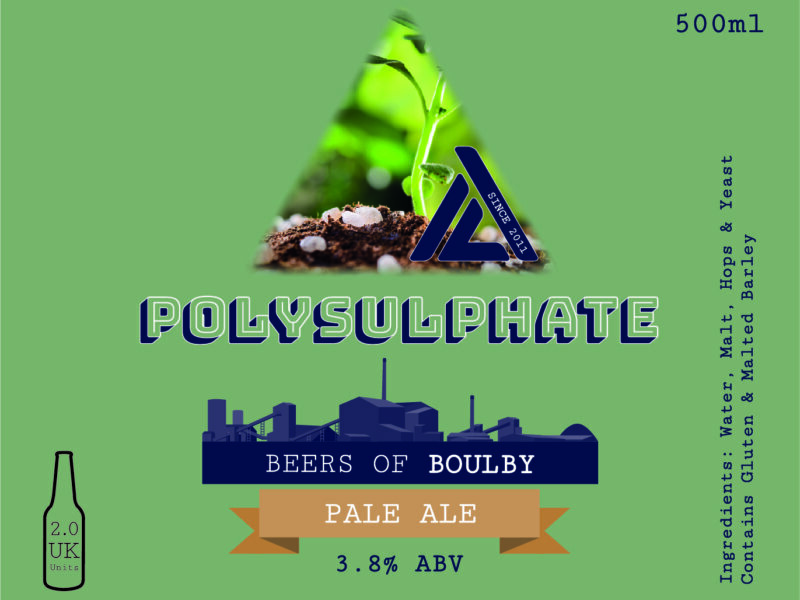 The three different Boulby Beer brews. Amongst those who will be drinking a toast to Boulby will be Loftus Mayor Barry Hunt—the company recently supported him on his funding-raising efforts for the armed forces charity SSAFA which saw him spend 11 nights sleeping in the open at war memorials across the area. NOTE FOR EDITORS: ICL Boulby has been at the heart of the East Cleveland economy for the past 45 years and has now embarked on a new era as the world’s first and only producer of the revolutionary multi-nutrient mineral Polyhalite. ICL Boulby is part of ICL, a global manufacturer of products primarily in three markets: agriculture, food and engineered materials and Polyhalite—branded under the Polysulphate name—is seen as a flagship product, already being marketed in 22 countries on five continents.